I am a romantic. I dreamed of my Mr. Right for years and years before I actually met him. I wasn’t sure what our love story would look like, but I was surprised at how natural it felt when the time was right. I was in college during the whole I Kissed Dating Goodbye era. While there were many good things about saying adios to pathetic relationships, I also got caught up on the specifics of what a good relationship should look like. Since it didn’t look like the book’s author, Joshua Harris, and I were going to start courting—ha!—I made a list of qualifications for what I wanted in a husband. One day my pastor took me to lunch and over the course of our conversation mentioned that he had a few eligible sons. I laughed and said, “I’m not sure they line up with my list.” He said he wondered if anyone would, apart from Jesus. His oldest son, Adam, and I were good friends at this point, but it hadn’t always been that way. I had been passed over by several guy friends and was hurting and prickly because of it. He was friendly with the ladies and had many friends who were girls. We were like oil and water—annoying the other with our behavior. And then over time, a authentic, I’m-not-trying-to-impress-you friendship developed. As I let go of my list (or at least held it more loosely) I began to see that God was writing a love story that was uniquely ours. His plans for me were good even if they looked different than what I was expecting. He knew what I needed and wanted better than I did—imagine that? 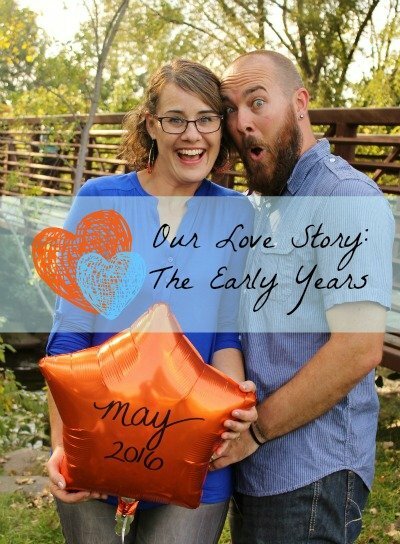 I’m excited to have our love story featured over on Uniquely Yours Ministries today as part of their 14 Days of LOVE series. Come on over to read Our Love Story: When Oil and Water Mix. P.S. 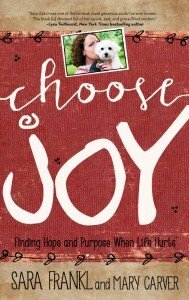 Join me at 1:30 EST on Periscope (@Katie_M_Reid) for the #MondayMessage and be sure to come back to the blog tomorrow for an interview with Mary Carver, author of Choose Joy. P.P.S Adam and I did write a song together. It’s called, “Completely” and you an purchase it for only 99 cents—just in time for Valentine’s Day. Beautiful Katie! I’m believing God to do the same for me one day. So sweet, Katie – I love how God writes the best plans in the most unexpected places. Thank you Tiffany. He writes good stories indeed.